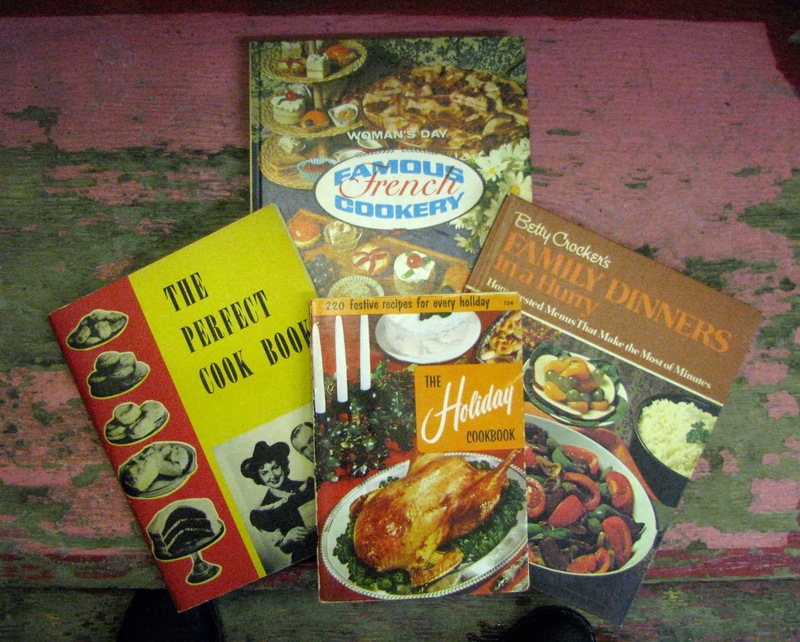 An assortment of vintage cookbooks! 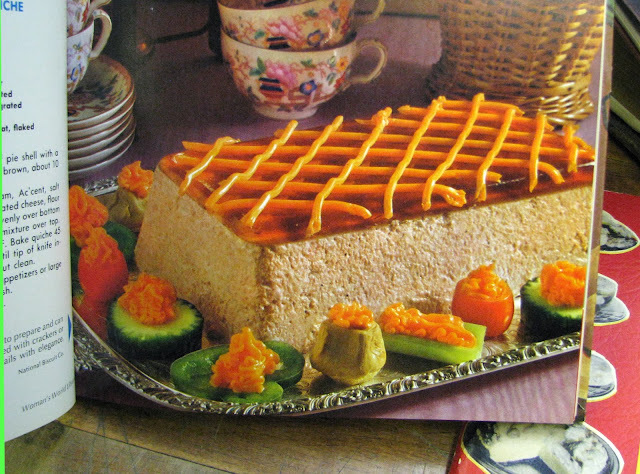 A Veal and Ham Mousse, which according to the book "is easy to prepare and can be made well in advance. Served with crackers or bread, it can accompany cocktails with elegance" (especially when decorated with squeezable cheese, and surrounded by vegetables filled with same). 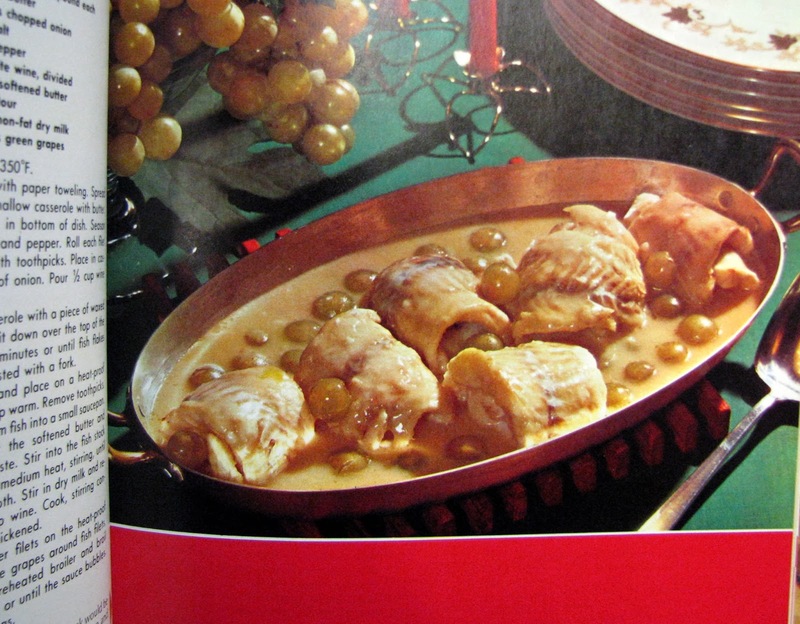 I think Julia Child would turn over in her grave at the sight of what is one of the least appetizing looking meals in the book - Filet of Sole Veronique, "a dish any cook would be proud to serve". Those round things floating in the white sauce are green grapes. The Holiday Cookbook has recipes for every holiday of the year, and it suggests that Crab Nippies (recipe above) would be an excellent Hors d'oeuvre to serve on New Year's Eve. 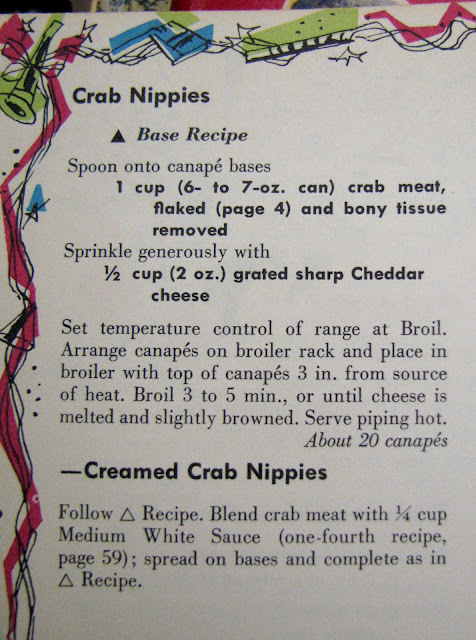 I would make these just to be able to say to guests, "Crab Nippie?" The above pictured cookbooks, and many others, are available at City Lights Bookshop. Lol, those are almost as crazy as the old Weight Watchers recipe cards! 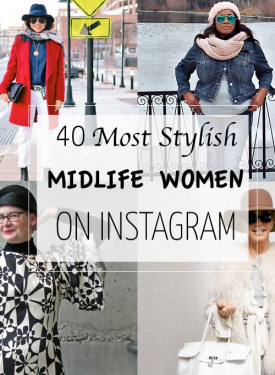 Love these, Shelley! Ha! 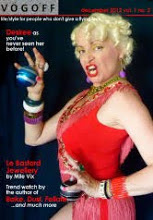 Being a chef by trade my training was, like most catering students, in the classical French style. Hideous! Game or red meat, pints of cream, sautéed in butter and, using the nasty tinned convenience food of the 1960s, the housewife's version is even less attractive. Squeezy cheese? YUM! I haven't had that since never. The dish with the grapes look like a Halloween party item where you have to feel the food and imagine it's gross body parts. Having said all that, I do love the cheesiness of these cookbooks (bwa-haha, sorry). I would be honestly proud of myself if I could make these, except I think I could manage the Nippies. I have a couple of old cookbooks, and they are quite revoltingly compelling. There were a couple of bloggers who did some vintage cookery at one point, can't recall if it was actually edible! 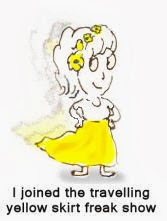 O, I must explain that "thing" we did-next post!!! Oh old recipes are just brilliant, aren't they? I have a cookery and household management book from the 1930s, there are some stomach-churning delights in there, though sadly no photos. Food is just as subject to fashion as anything else, isn't it?